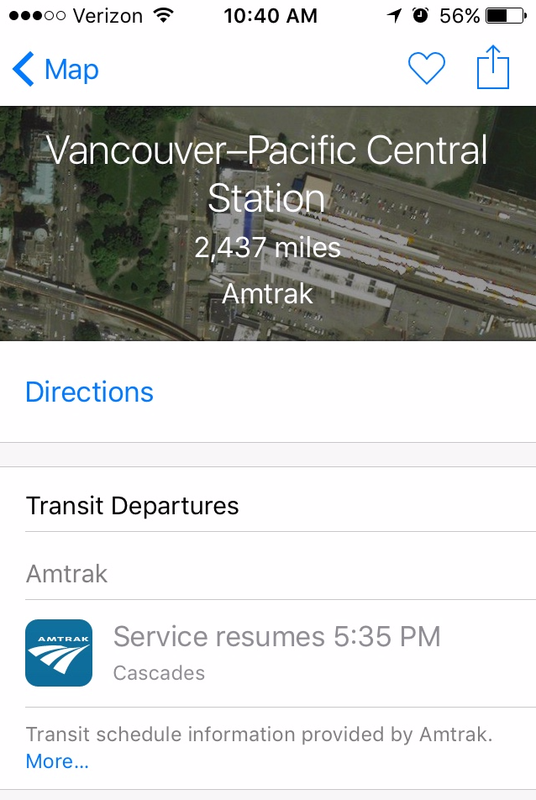 Apple Maps now supports Amtrak routes across the U.S.
Apple Maps can now help you find out how to take the train from Indianapolis to Chicago or Seattle to Vancouver, and many other destinations. Close to a year after support for Amtrak routes in the U.S. Northeast rolled out to Apple Maps, the company is finishing the job. Apple’s navigation app now supports information for Amtrak routes in the Midwest, Northwest, South, and West, as first spotted by Macrumors. Amtrak offers 34 routes overall and they all appear to be supported now by Apple Maps. The new Amtrak routes also include Amtrak trips to Montreal and Vancouver. The other Canadian route—the Maple Leaf between New York and Toronto—was added as part of Northeast Amtrak support in 2015. Macrumors says Amtrak support is largely in areas where Apple Maps already provides transit directions. That means some of the smaller stops on all the various Amtrak routes may not be included, though that’s not necessarily the rule. Try searching for directions to figure out if your city is included as part of the Amktrak update. 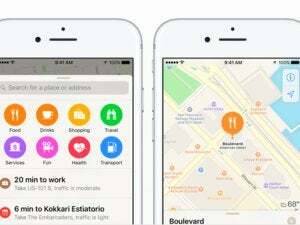 Apple launched transit directions in Apple Maps with iOS 9 in the fall of 2015. 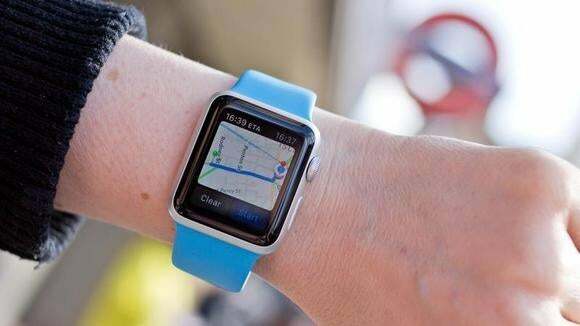 Since then, some users have complained that Apple has been too slow to add new cities and regions. Apple Insider reported in July that Apple was being painstakingly slow to add new cities in order to make sure any new transit data was accurate. Anyone who ever used Apple Maps in its early days can hardly complain about (or at least understand) Apple’s attention to detail. Nevertheless, it’s frustrating when the app you want to use isn’t quite as functional as its competitors—namely Google Maps in this case. Apple Maps is getting there, however. The impact on you at home: When Apple Insider reported on the state of transit directions in Apple Maps in July, Apple’s website listed 19 cities around the world where transit information was available. Three months later that number has grown to 32. Apple Maps also supports transit directions in China, which apparently has the bulk of transit support in Apple Maps with 300 cities supported, according to Apple Insider.